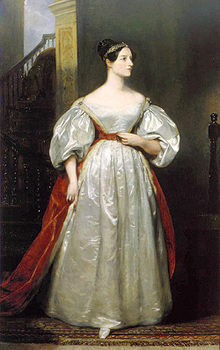 Today, 14 October, has been declared Ada Lovelace Day, ‘an international celebration of the achievements of women in science, technology, engineering and maths’, named after Lord Byron‘s daughter, later countess of Lovelace, and a renowned mathematician. We have not yet reissued anything by her, though we are hoping soon to be able to do her translation (and enlargement) of Luigi Menabrea’s Sketch of the Analytical Engine Invented by Charles Babbage, and we have of course produced several works by Babbage himself, who was a lifelong collaborator with this remarkable woman. Instead, here are some of the scientific women we do publish, with links either to their works or to further information about them. 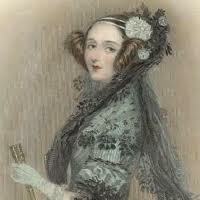 And below are a couple of pictures of Ada – NOT the stereotype of a mathematician! This entry was posted in Anthropology, Astronomy, Biography, Earth Sciences, Education, Life Science, Mathematical Sciences, Medicine, Physical Sciences, Women's Writing and tagged Ada Lovelace Day, Charles Babbage, women scientists and mathematicians. Bookmark the permalink.